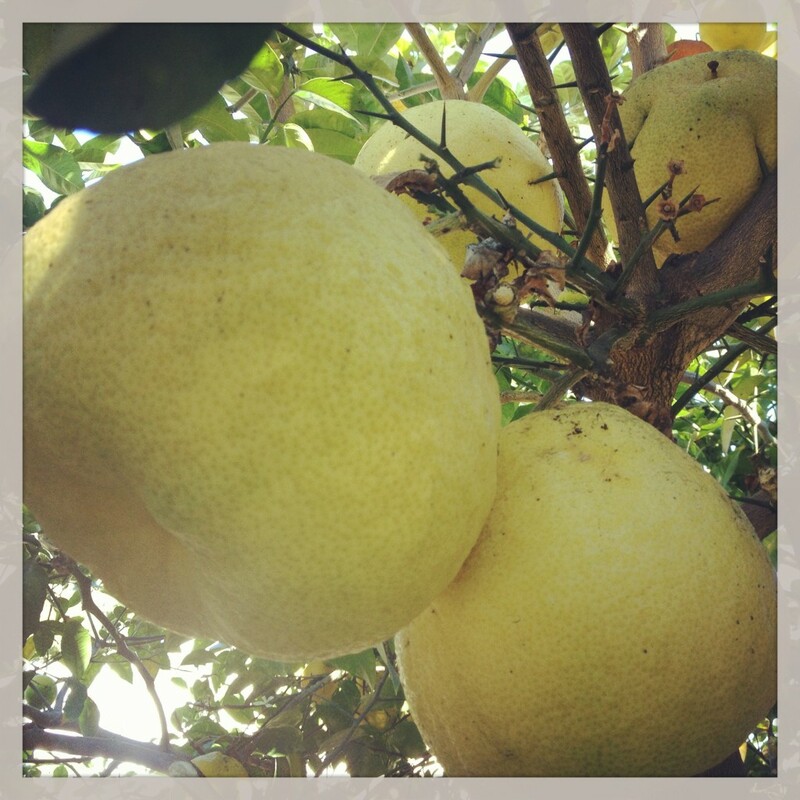 The tree outside my place is bursting with lemons, big, no make that huge, bowling ball sized Meyer lemons. 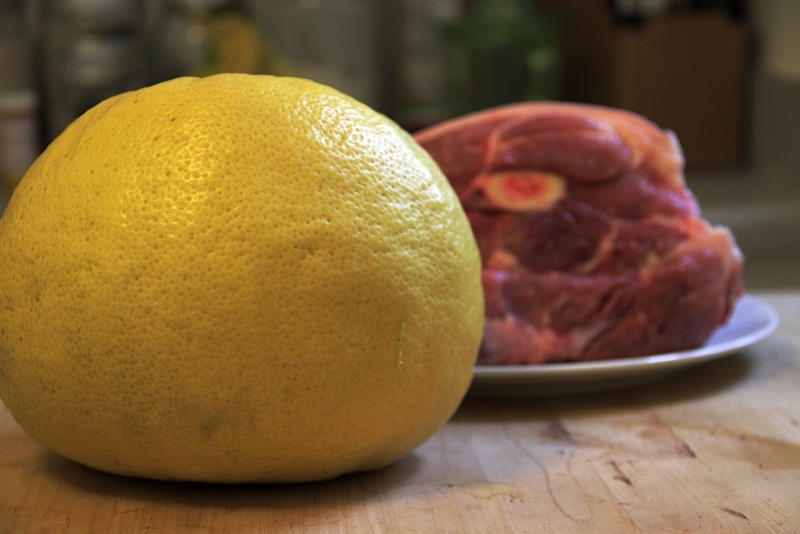 And you know what they say, “When life gives you an enormous Meyer lemon…make pork shoulder. Just be careful when you pick Meyer lemons they have huge dangerous thorns. My inspiration for this recipe came from Food and Wine. And the first time I followed the recipe to a tee. The second time I was ready to raise the bar and reduce the heavy cream. What I love about this recipe is you put everything in a pot, boil and put in the oven for 3 hours. Enjoy. With a potato peeler remove zest from lemons in strips. Squeeze lemons for juice about ½ cup. In a pot large enough to hold the pork shoulder and liquids place sage sprigs, onions, garlic, red pepper flakes. 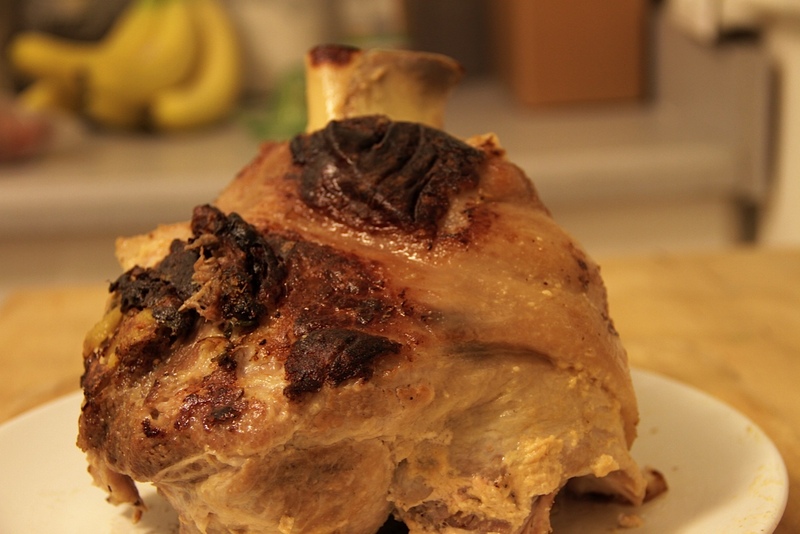 Place pork shoulder on top of those ingredients. Add lemon juice, one cup of water and milk. Add more water so that the liquids cover the roast. Place on burner and bring to boil. Once the liquids boil place covered pan in 300 degree oven for 3 hours. When roast is done gently remove from pan and let drain a bit on a plate. Heat large sauté pan and add 1 T olive oil. Place pork shoulder skin side down in the sauté pan. Brown skin. Remove roast and place on serving tray. Strain braising liquid. Throw away sage stems and leaves. Over the braising pan push the cooked pulp of garlic, onions and lemon zest through the strainer discard lemon zest. Turn heat on low and heat the pulp. Sprinkle the flour over the pulp and stir with a whisk. Turn up heat a bit and slowly add the braising liquid, stirring constantly. Heat until liquid thickens to gravy texture. Adjust for salt, pepper and red pepper. Slice the braised shoulder and serve with sauce. I love that this dish is so easy to make, but makes a beautiful presentation. I’m gonna go get me some Meyer lemons!